Brennan and the Obama intelligence community’s roles in the investigation of the Trump campaign have come under increasing scrutiny. Recently, Cambridge Professor Stefan Halper was outed by former and current officials leaking to the Washington Post and the New York Times as an FBI and CIA informant who approached and befriended several members of the Trump campaign. Halper had reached out to members of the campaign weeks before FBI officials said they first learned of allegations of collusion — calling into question why the Obama administration was surveilling the Trump campaign. Brennan, now an NBC News contributor, was deeply involved in fueling the allegations of collusion with Russia while in office, as Breitbart News has covered. The former CIA director has since been active on Twitter attacking the president. Stone suggested he already knows much of what Mueller could find. “He goes on Twitter and threatens the President of the United States. He’s constantly foreshadowing what Robert Mueller has,” Stone said. “Mr. 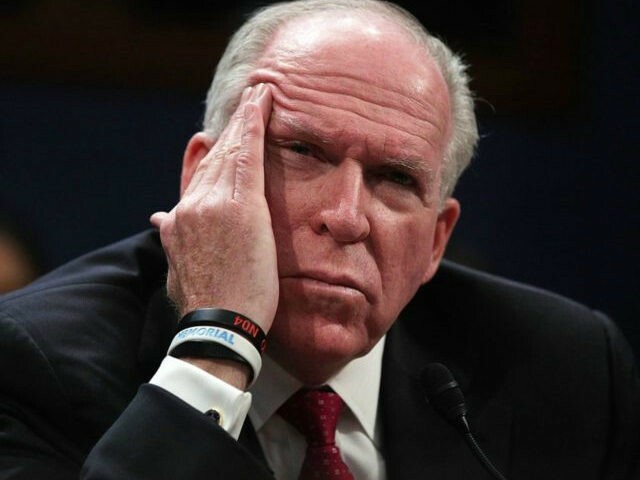 Brennan, you’re out of government. How would you know? John Brennan is the number one criminal perp in this entire matter, and it’s only a matter of time before justice catches up with him,” he said.